Create an Apex class called 'DailyLeadProcessor' that uses the Schedulable interface. The execute method must find the first 200 Leads with a blank LeadSource field and update them with the LeadSource value of 'Dreamforce'. Create an Apex test class called 'DailyLeadProcessorTest'. In the test class, insert 200 Lead records, schedule the DailyLeadProcessor class to run and test that all Lead records were updated correctly. Create an Apex class called 'AddPrimaryContact' that implements the Queueable interface. Create a constructor for the class that accepts as its first argument a Contact sObject and a second argument as a string for the State abbreviation. The execute method must query for a maximum of 200 Accounts with the BillingState specified by the State abbreviation passed into the constructor and insert the Contact sObject record associated to each Account. Look at the sObject clone() method. Create an Apex test class called 'AddPrimaryContactTest'. In the test class, insert 50 Account records for BillingState "NY" and 50 Account records for BillingState "CA". Create an instance of the AddPrimaryContact class, enqueue the job and assert that a Contact record was inserted for each of the 50 Accounts with the BillingState of "CA". You've been given a requirement to keep contact addresses in sync with the accounts they belong to. Use Process Builder to create a process on the Account object that updates child Contact addresses when an account's address is updated. 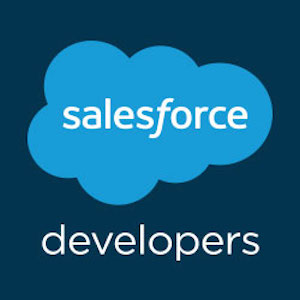 Create a Visualforce page without the standard Salesforce header and display an image using the Visualforce image component. I dont understand Queueable apex and the difference between it and @future can anyone explain? Create an Apex class called 'LeadProcessor' that uses the Database.Batchable interface. Use a QueryLocator in the start method to collect all Lead records in the org. The execute method must update all Lead records in the org with the LeadSource value of 'Dreamforce'. Create an Apex test class called 'LeadProcessorTest'. In the test class, insert 200 Lead records, execute the 'LeadProcessor' Batch class and test that all Lead records were updated correctly. The unit tests must cover all lines of code included in the LeadProcessor class, resulting in 100% code coverage. Create a field on the Account object called 'Number_of_Contacts__c' of type Number. This field will hold the total number of Contacts for the Account. Create an Apex class called 'AccountProcessor' that contains a 'countContacts' method that accepts a List of Account IDs. This method must use the @future annotation. For each Account ID passed to the method, count the number of Contact records associated to it and update the 'Number_of_Contacts__c' field with this value. Create an Apex test class called 'AccountProcessorTest'. can anyone recommend apex online courses? the trigger should be on account to check the assets and if ALL Assets where product family = "bla bla " and their status was "Canceled" the trigger should update bla bla Account stage (API Name = Account_Status__c ) to "Cancel". We need a trigger on the asset object on update to check all assets. If on ALL Assets belonging to product family = "360 Suite" had their Status = "Canceled" , then on Account, update the 360 Account stage (API Name = Account_Status__c ) to "Cancel". To pass this challenge, create an Apex class that returns both contacts and leads that have first or last name matching the incoming parameter. Create an Apex class that returns contacts based on incoming parameters. For this challenge, you will need to create a class that has a method accepting two strings. The method searches for contacts that have a last name matching the first string and a mailing postal code matching the second. It gets the ID and Name of those contacts and returns them. the trigger should be on account to check the assets and if ALL the Assets belonging to product family = "bla bla " had their status "Canceled" the trigger should update bla bla Account stage (API Name = Account_Status__c ) to "Cancel".